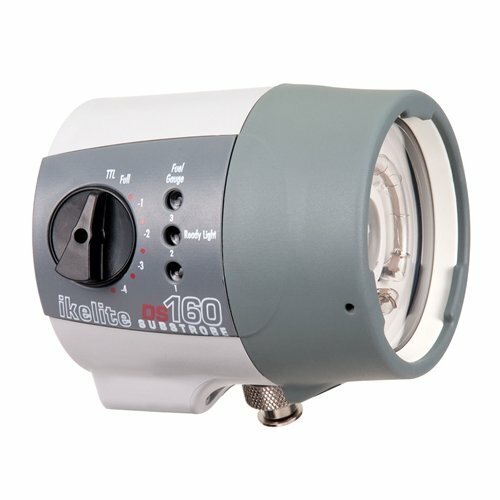 Strobe front is compatible with NiCad, NiMH, and Li-ion battery packs as featured at the DS161, DS160, and DS125 strobes. Battery pack sold one after the other. Battery pack is required for operation of this strobe front. Use most effective working Ikelite Li-ion (Product Number 4067.2, Product Number 4067), NiMH (Product Number 4066.5), or NiCad (Product Number 4066) battery packs. Please note that older battery packs won’t provide optimal collection of flashes per charge or recycle times. Use of a flooded or damaged battery pack with this strobe front might cause damage which isn’t covered by warranty.